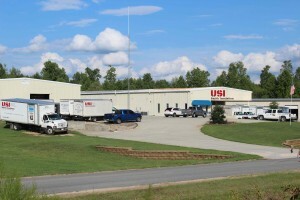 USI Smith Insulation has been the business that homeowners and builders turn to for all of their insulation needs in Raleigh, Durham and Louisburg, NC. Simply put, we are one of the most experienced insulation contractors in the Raleigh-Durham area. Established as a family-owned company, our installers, inspectors and repair team can handle any of your needs, from blown-in fiberglass and spray foam insulation to air sealing and energy audits. We’ve made a name for ourselves here locally through delivering outstanding results to homeowners, builders, business owners and property managers in Raleigh, Wake Forest, Rocky Mount and beyond! Also, we pride ourselves on being the NC experts in the insulation field. To that end, we provide constant training opportunities to staff members in order to stay on top of the latest-and-greatest industry practices and materials. Additionally, we hold a Master Certification in Environments for Living standards and we heavily participate in other industry training and certification programs. We have also been fortunate to receive the Certified Insulation Contractor award from the NAHB Research Center. USI Smith Insulation helps you save energy and money by offering a selection of insulation products. We specialize in spray foam insulation, which is the most advanced energy-efficient insulation technology available. Contact us to receive more information about the energy solutions we provide, and to learn more about other North Carolina homeowners and builders we’ve served.